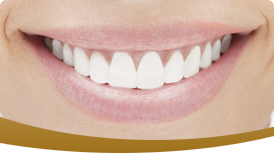 Dr. James Holt is one of the leading accomplished cosmetic dentists in Dallas/Fort Worth area. He has won numerous awards and earned prestigious degrees in cosmetic dentistry. He constantly strives to stay abreast of the latest dental techniques and procedures. Fellow in the Academy of General Dentistry. Fewer than 3 percent of all dentists have received this level of training. Read more about Dr. Holt.